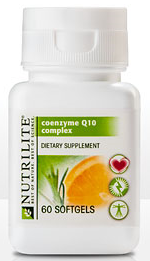 Coenzyme Q-10 (CoQ10) is a popular and fairly inexpensive supplement. CoQ10 is ubiquitous, which means that it occurs throughout the body or is widespread. It is an enzyme produced naturally in the human body, found in every cell and tissue. It helps the cells in the body produce energy. CoQ10 is involved in several body functions, including the production of energy, fighting free radicals, and keeping cells healthy. A young body has the ability to produce plenty of CoQ10. As we age, various factors effect our ability to produce proper CoQ10 levels. Researchers are suggesting that low levels of CoQ10 could take part of the blame for the look of aging skin, because the ability of skin cells to renew and withstand stress declines. It is also suggested that an insufficient amount of CoQ10 could explain why people have a harder time losing weight as they get older. The ability of CoQ10 to produce energy, increase metabolism, and promote healthy skin cells has earned it the label "The Secret Fountain of Youth" in a bottle. CoQ10 acts as a strong antioxidant. It helps to fight harmful free radicals, one of the major causes of aging. As levels of CoQ10 decline, your skin becomes of vulnerable to damage by free radicals. CoQ10 has a role in maintaining younger looking skin. Many of the aging issues that women and men experience can be traced back to low levels of this coenzyme. Once people hit 30, the levels of CoQ10 decrease more rapidly. The lack of coenzyme-Q10 results in the skin's inability to produce collagen, which gives skin firmness, and elastin. Elastin gives skin stretchability (think elastic). When elastic is stretched, it does not break and it easily goes back to its normal shape. That is what elastin does for our skin. When gravity stretches and pulls on our skin, CoQ10 helps to make sure it comes back to where it belongs, preventing wrinkles and sagging. As you age, you may find it a bit harder to maintain and lose weight. The lack of CoQ10 can not only play a role on your skin condition, but in your weight as well. CoQ10 assists in the production of energy, a deficiency can contribute to lower energy levels and a slower metabolism. A supplement used in conjunction with exercise and proper diet could better a weight loss program. Research is showing that low levels of CoQ10 could be a factor in obesity, particularly obesity in adults. CoQ10 can also protect against hypertension, diabetes, and cardiovascular problems, including congestive heart failure. It is also useful in treating other symptoms and diseases, such as ringing in the ears known as tinnitus and can even contribute to healthy brain functions, such as processing and memory. CoQ10 is found naturally in seafood, meats, and whole grains. It is mostly free of side effects, however; it is recommended that those on medications, especially blood thinners and heart medications, consult their practitioner before using a CoQ10 supplement.